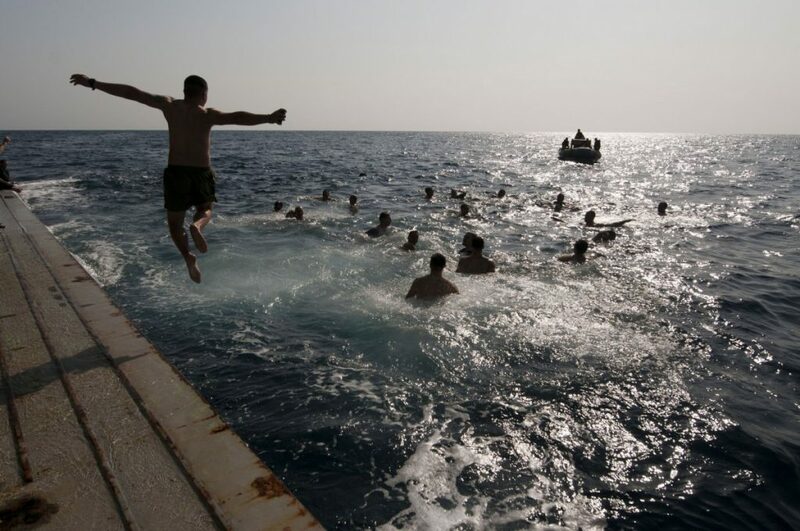 While sailors and marines don’t always have downtime at sea, they surely make the most of it when they are given one. 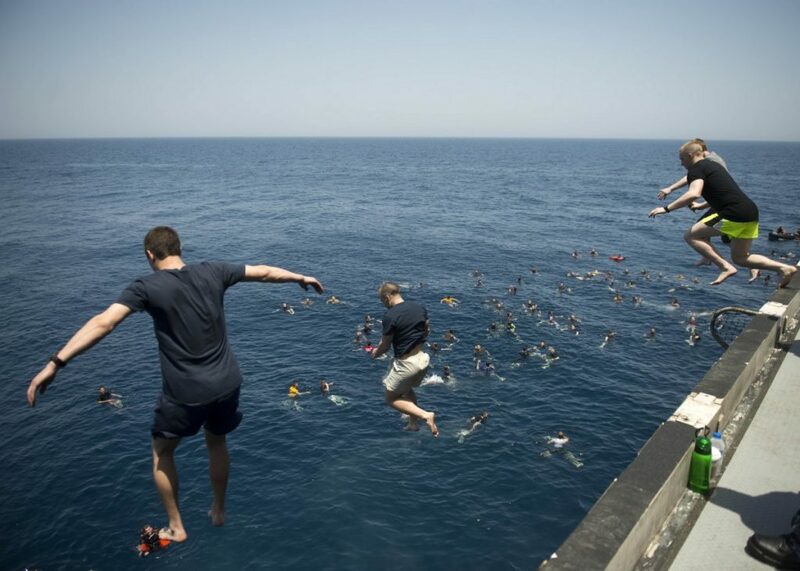 Since the world is a private swimming pool for these men, they partake in a military tradition known as a ‘swim call’ in various different oceans and warm waters all across the globe. 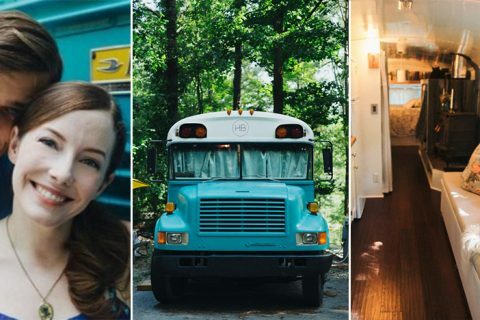 The tradition dates back to at least the World War II when ships sailed several miles offshore to let their crew relax in the water. 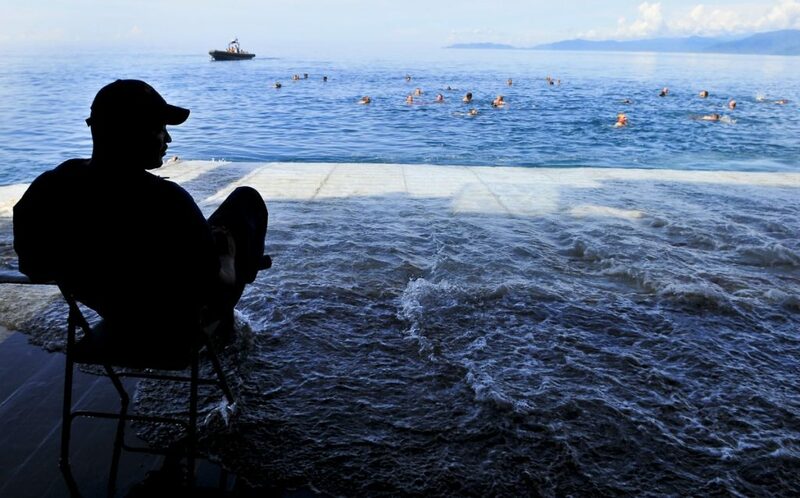 Swim call is a rare treat where sailors are allowed to take a breather and enjoy the open ocean. This drill somehow helps them get through the homesickness they feel for being far from their loved ones. 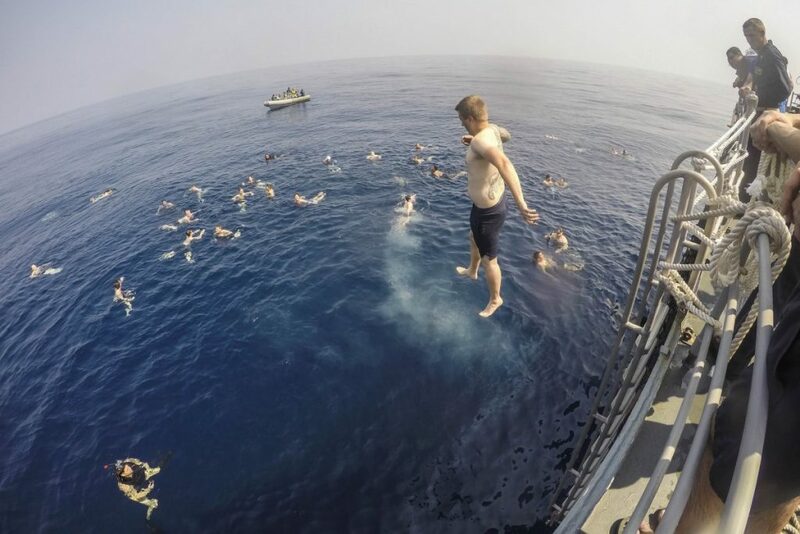 The sailors and marines swim near their vessels while those who do not take part serve as onlookers from the ship and from rigid-hulled inflatable boats around the perimeter to keep an eye out for sharks. 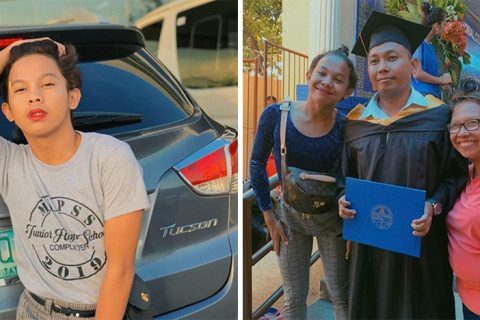 They even arm themselves with huge guns to turn any shark away. 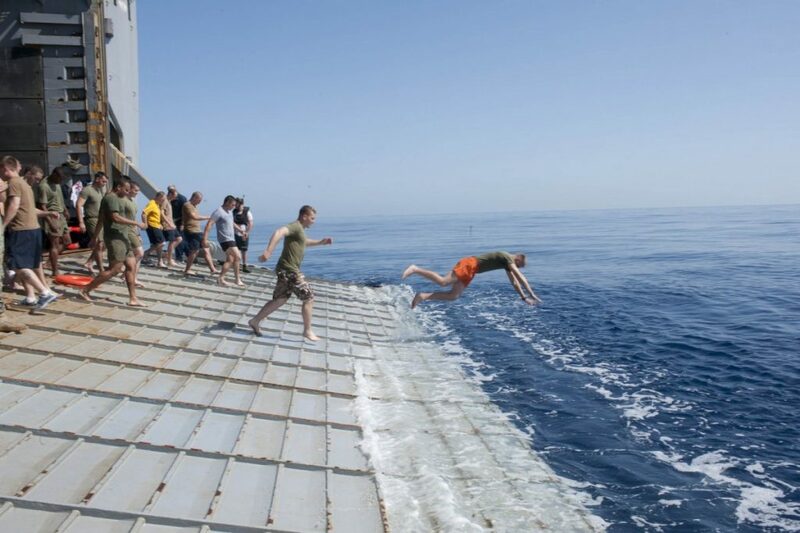 They usually enjoy the warm foreign waters of Mediterranean, Arabian, and South China seas as well as the Indian and Pacific oceans. 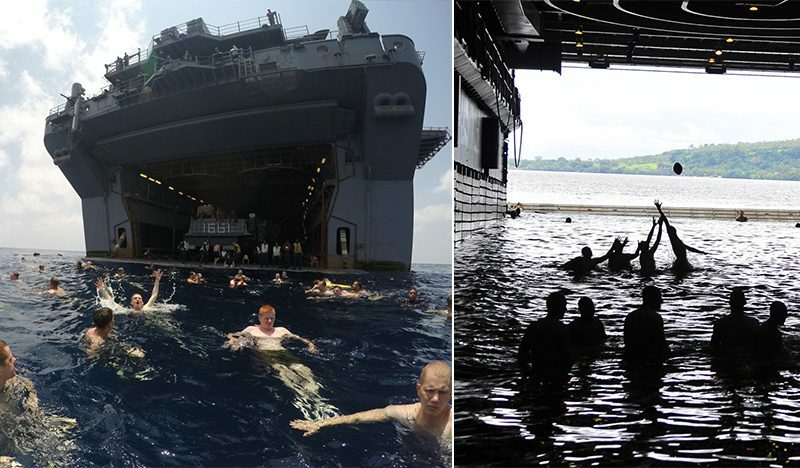 Below are some of the photos from the United States Navy, showing how they make things fun while in the water. 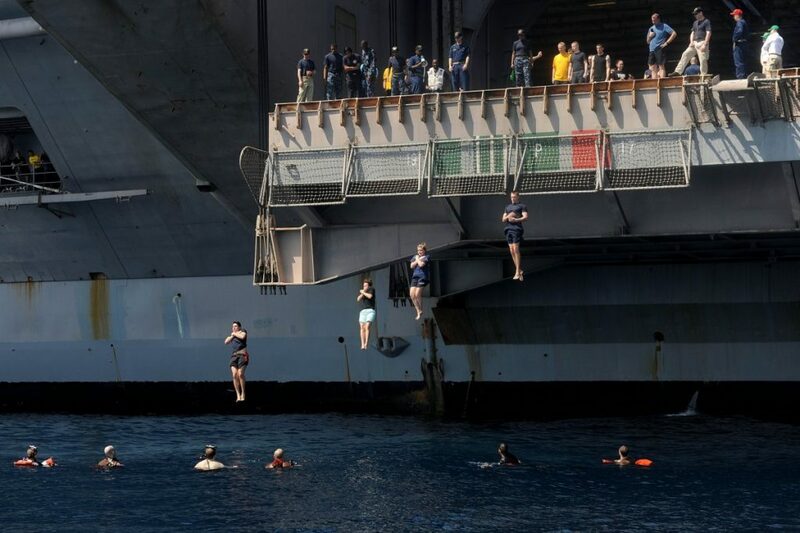 Finally, when downtime is over and it’s time to get back to work, the sailors and marines scrabble back onto the ship thru landing docks or by climbing up the cargo nets. 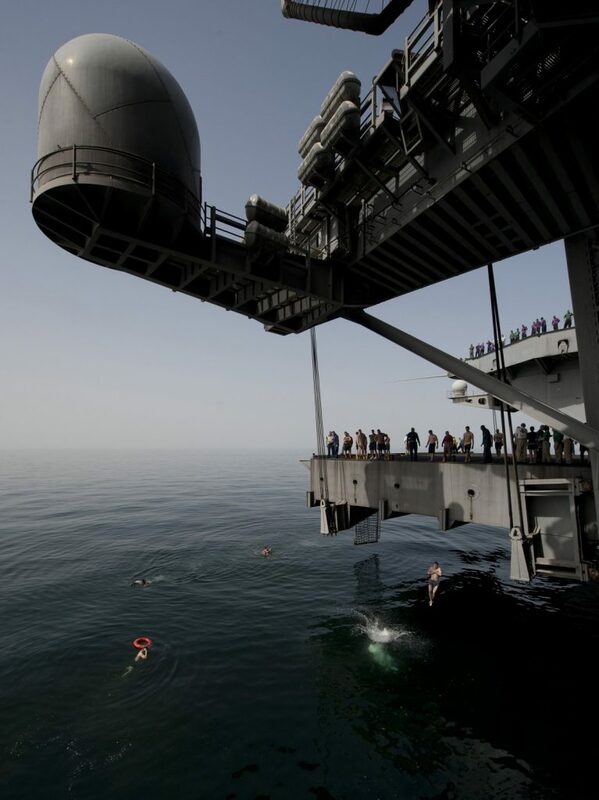 Swim call is definitely something that sailors and marines will not soon forget.